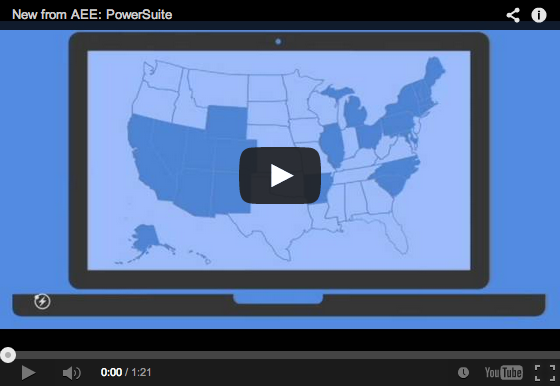 As the business voice of advanced energy, AEE developed PowerSuite to help member companies navigate the complex and ever-changing energy policy and regulatory arena in states across the country. Simply put, PowerSuite will save our members time and money. But PowerSuite is available to non-members, too. Subscribers in academia, law firms, and nonprofit organizations will find it a powerful new way to keep up with policy changes across the country. PowerSuite is the tool that advanced energy companies, professional service providers, and policy advocates have been waiting for. The first two tools in PowerSuite offer solutions to navigating both the legislative process and public utility dockets. Billboard allows individuals and teams to track the progress of energy-specific legislation as it moves through a state house. DocketDash tracks public utility dockets, including hundreds of thousands of pages of proceedings and testimony. Users can set up notifications of changes in bills or dockets by tagging them as “favorites” and share summaries, notes, and other information with colleagues. Additional tools developed for PowerSuite in the future will share this common interface and functionality. AEE is offering PowerSuite as a benefit of AEE membership for Leadership Council and Business Council members, and at a discount for General Members. The service is also available by subscription, with special rates for government employees, educational institutions, and nonprofit organizations. Subscriptions are offered at a 20% discount through September 30.